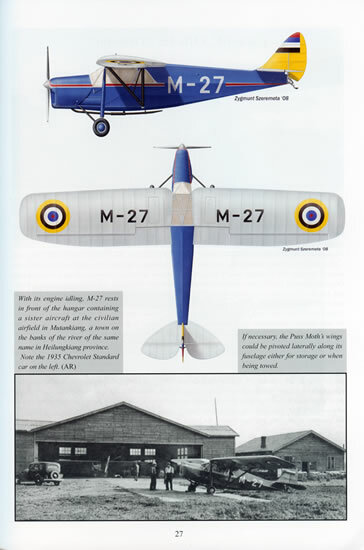 The Eagles of Manchukoko, 1932-1945: An Illustrated History of the Civilian and Military Aviation by George Eleftheriou and Kiri Domoto-Eleftheriou. Advantages: Detailed coverage; well reproduced photographs, impressive artwork. Conclusion: Whilst squarely aimed at the historian, modellers will also find it a source of information on World War Two Japanese aircraft. 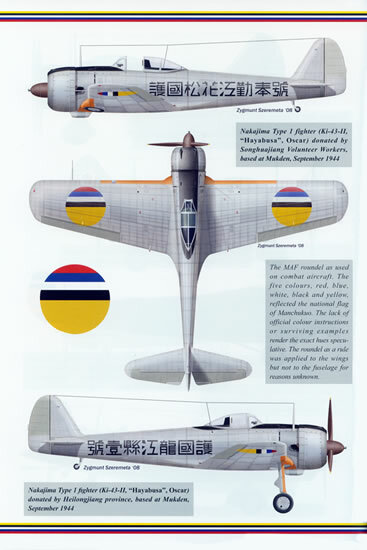 Ever see the stunning box art for the 1/48 scale Finemolds Nakajima Ki-43 Oscar kit that depicts the aircraft in natural metal finish with segmented red, blue, white, black and yellow roundels on the wings and fuselage as well as Chinese characters on the fuselage and wonder what the heck it was all about? 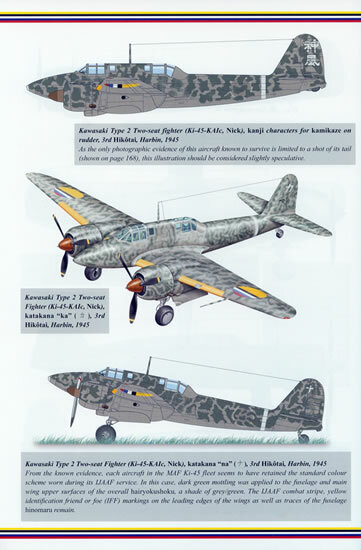 Well, this new book from Arawasi will fill you in on the story of the Ki-43 markings as well as a whole lot more. For the uninitiated, Manchukuo was in northeastern China and was created in 1932 by the Japanese who proclaimed it an “independent” state following their attack on China in 1931. Though proclaimed independent of Japan it was very closely controlled by them. Physically, Manchukuo was formed by combining three historic Manchurian provinces. 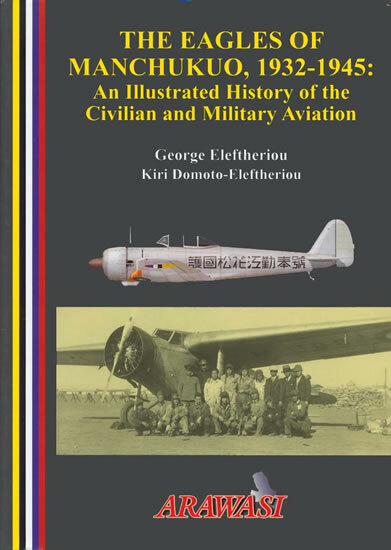 With a total of 224 pages, the book is far more substantial than the other titles previously published from Arawasi and it offers a very comprehensive look at both civil aviation within the state and the Manchukuoan Air Force. 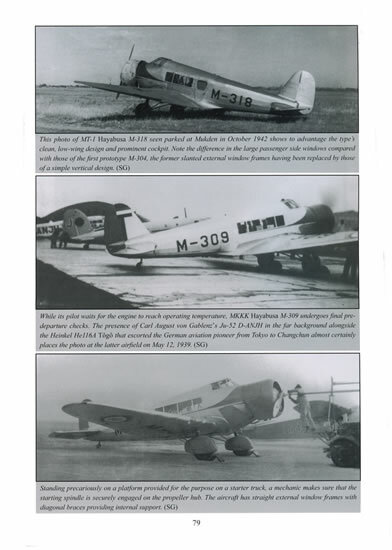 Mansû Kôkû Kabushiki Kaisha (Manchukuo Aviation Co. Ltd.) This is a very large chapter indeed and comprises 116 pages in all. As well as covering the operation of the airline and the ports they serviced it provides you with a full and complete list of the aircraft that they operated. 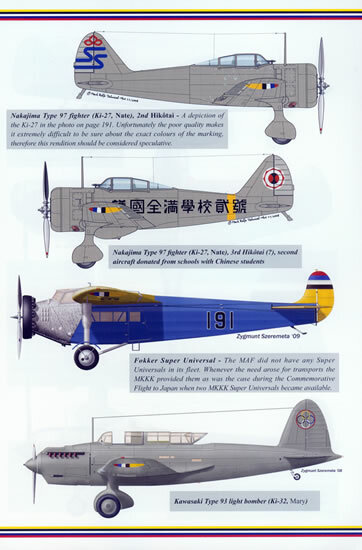 Manshû Kokugan Hikôtai (Manchukuoan Air Force) 71 pages in all. Again, very complete indeed and includes superb colour illustrations with comprehensive notes of the various machines operated including the one depicted on the Finemolds Oscar boxtop! Kaijô Keisatsu Kôkû Butai (Manchukuo Maritime Police Air Unit). 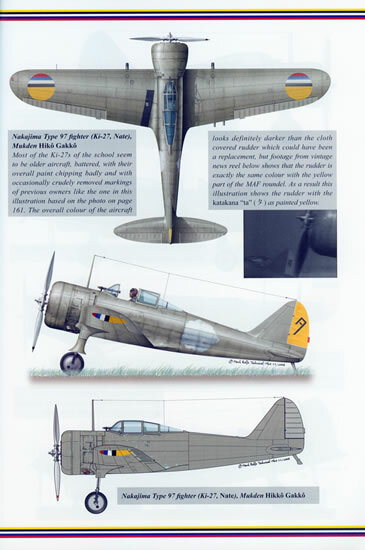 Just 10 pages in all but the subject and the aircraft are as equally as well covered. 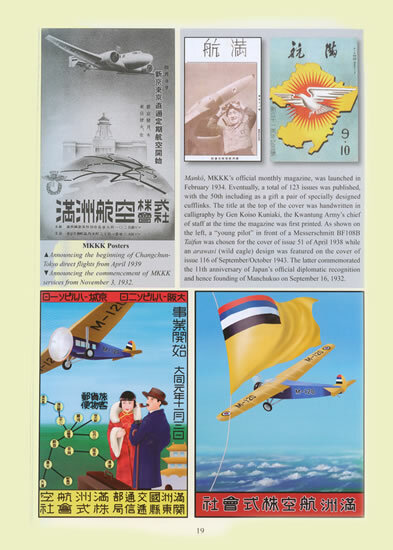 Manshû Hikô Kyôkai Manchukuo Flying Association/Manshû Kumû Kyôkai Manchukuo Air Affairs Association. Coverage of the sport of gliding in Manchukuo during the period. The book is B5 in size and the text is entirely in the English language. This is an excellent publication. It is very well written and profusely illustrated with good quality well reproduced period images and profile artwork. It also provides you with an understanding of this little known chapter of the greater Pacific war. Whilst squarely aimed at the historian, modellers will also find it a source of information on World War Two Japanese aircraft.